Eugene Lee holds a Doctorate of Musical Arts with Distinction from Columbia University. Milton Babbitt was one of juries of the Examining Committee for his Doctoral Dissertation. After returning to Seoul in 1982, he founded the first Music Research Center in Korea at Hanyang University. Until 1989 as Director of the Center he published Journal of the Science and Practice of Music, which is the first professional journal of music ever published in Korea, and the Music Theory Translation Series, including such treatises as Musica Enchiriadis, Micrologus, and Terminorum Musicae Diffinitorium. He also presented Symposia and Concert-Symposia of new music, including works by Schoenberg, Stravinsky, Webern, Berg, Varese, Babbitt, Chou, and Berio. 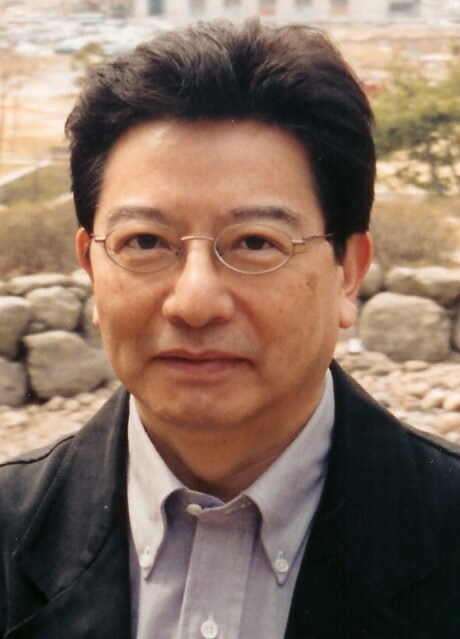 He established the first Computer Music Studio in Korea in 1991, while publishing another new journal of music, Currents in Musical Thought at Ewha University. He has created not only compositions based on 12 equal temperament, but also 18 tone divisions within an octave. For example, his Trihexadral Ballads for Three Violins with Computer-Generated Sound is based on the diathirdtonic scales, a new third-tone system of equal temperament, or the division of whole tones by one-third. Not only the melody, harmony and counterpoint, but also the overtones which determine specific timbre of sound are controlled by diathirdtonic intervals in this composition. His music has been published by Calabrese Brothers Music and Mobart Music Publications. His music was recorded on Scarbo(DSK 4071) in Paris, C.R.I. (#400) in New York and Universal Music Ltd.(DU7398) in Korea. His articles have been appeared in such periodicals as Sonus, A Journal of Investigations into Global Musical Possibilities (Vol. 20, No. 2, Spring 2000, USA), Organised Sound, An International Journal of Music Technology (Vol. 2, No. 3, December 1997, Cambridge Univ.) and In Theory Only, Journal of the Michigan Music Theory Society (Vol. 6, No. 5, 1982, Michigan Univ. ), J.S.P.M. (Vols. 1-4, Hanyang Univ., Korea), and C.M.T. (Vols. 1-4, Ewha Univ., Korea). His book, Creativity and Analysis (Vols. 1-3) has been selected one of the best scholarly books of the year 2002 by the Cultural Ministry in Korea. Currently he is Honorary President of Veritas Musicae in Seoul, Korea.